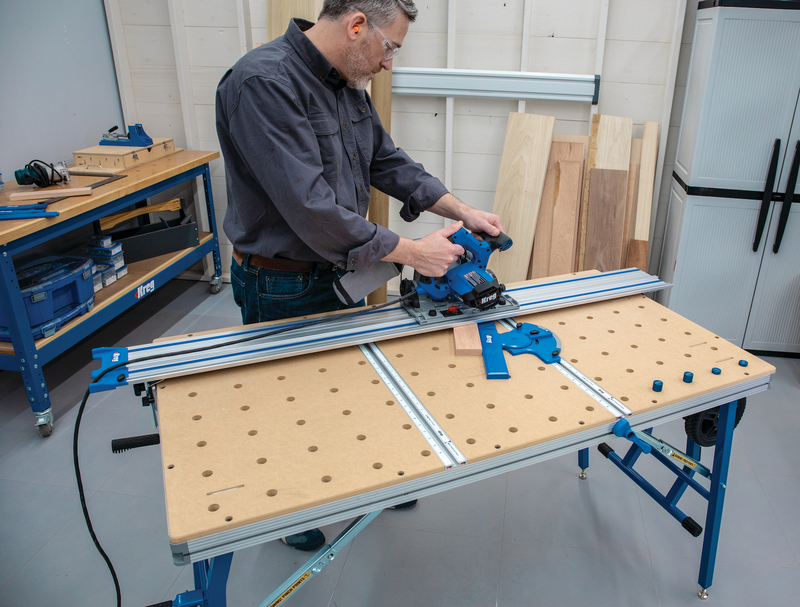 Rockler's new jig for table saws, the Small Parts Sled, is a miniature crosscut sled that lets you use your saw to cut small parts to length. It provides zero-clearance support, which reduces the chance of small parts binding in the throat plate, and a ramp guides the offcut away from the blade after cutting. 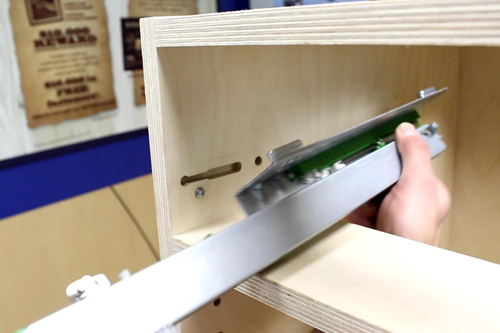 The Small Parts Sled is guided by an integral miter bar that slides in standard 3/4-in. x 3/8-in. miter slots. The sled features a low-friction melamine-coated MDF platform with front and rear fences. 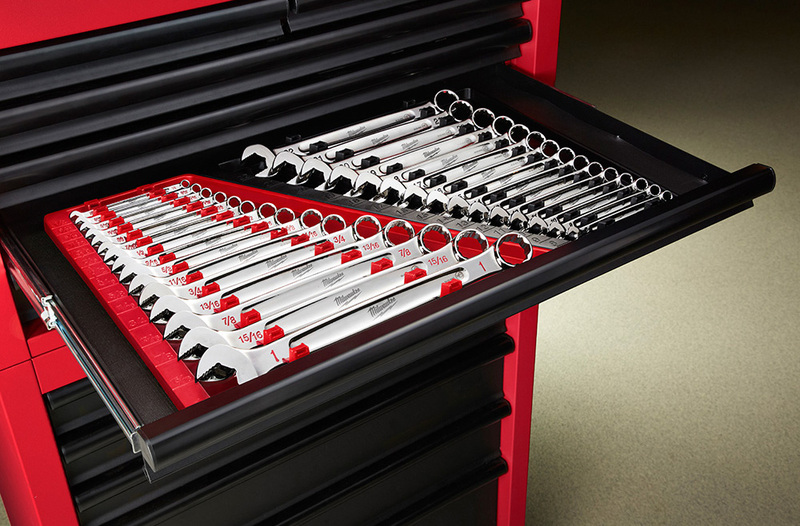 Universal T-tracks run the length of the fences for attaching stops and the clear blade guard, which helps keep the user's hands away from the cutting area. Another T-track runs perpendicular to the fences for securing hold-downs. 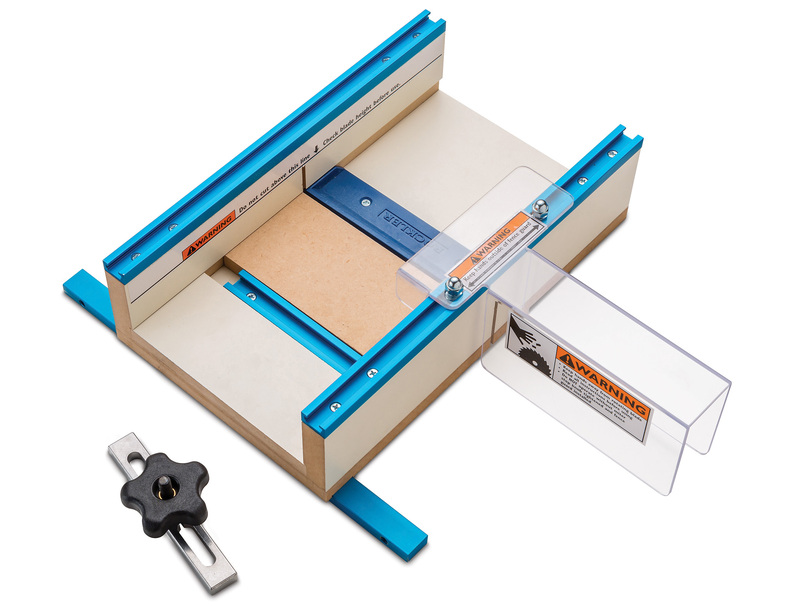 A safety stop with expandable miter bar is included; when positioned at the front of the saw, it prevents the sled from being pushed so far that the blade extends out the back beyond the blade guard.